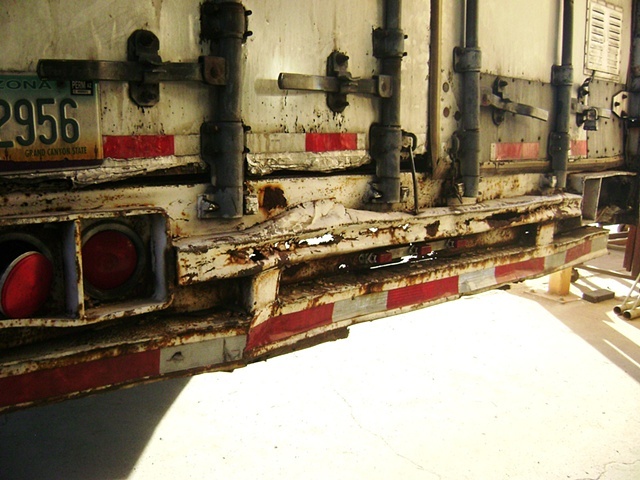 This is a semi trailer to be repaired. Jason and his friend Mario made this repair in one day as the trailer had to be back on the road ASAP. They cut the entire bumper off and made a new one.